A tomb in northern Iraq held a pile of skeletons of at least six people, including those who lived 2,400 years ago. Apart from the human remains, valuable objects where discovered in the tomb as well, including a typical Achaemenid bronze bracelet decorated with two snake heads facing each other. 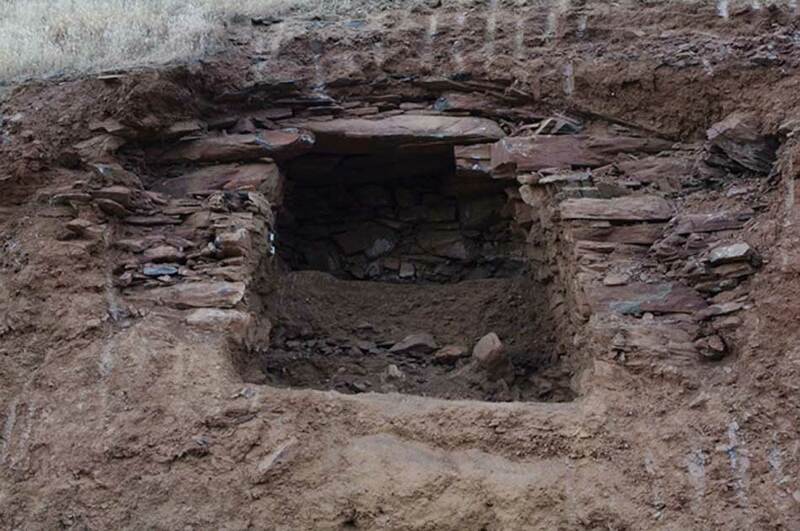 The outcomes of the excavation were presented by Kyra Kaercher and Katie Downey, graduate students at the University of Pennsylvania and Ohio State University respectively, in November 2016 at the American Schools of Oriental Research's annual meeting. The beautiful bracelet found in the tomb helped the team of archaeologists to date it. As they told Live Science, “The snake-headed bracelet was very popular in Achaemenid times." They added that is not easy to accurately estimate exactly how many people were initially buried in the tomb, as some of the skeletons were found in a jumbled state. That state of disorganization implies that some people (possibly thieves) entered and may robbed the tomb at some point. Nonetheless, the group of archaeologists managed to unearth a pair of bronze earrings and the remains of at least 48 pottery vessels, with five of them being in perfect condition. Despite the bronze jewelry in the grave goods, these finds make experts speculate that the tomb probably didn’t belong to noblemen or civilians of the upper class, "Based on the ceramics found and the limited amount of metal and other objects, these people were probably from a more modest background," the archaeologists told Live Science. The Achaemenid Empire is traditionally believed to have been founded by Cyrus the Great during the middle of the 6th century BC. In 559 BC, Cyrus became the king of Persia, and nine years later, defeated his overlords, the Medians. Over the next few centuries, the Achaemenids expanded their empire to the east and west. As their empire grew, the rulers intended to express their new-found authority through the use of monumental architecture. This form of architecture, known today as Achaemenid architecture, began with Cyrus’ reign, but is more evident in the constructions ordered by his successors. You can see a clear example of this in the construction of the newer capital of Persepolis, which was started by Darius the Great, but completed by his successor, Xerxes the Great. One of the most striking objects in this city is the so-called ‘Apadana reliefs’, which are found on the eastern and northern stairs of the Apadana (audience hall). The tomb was unearthed during the summer of 2013, after a bunch of construction workers discovered it accidentally. Many archaeologists have expressed their concern over the urgent preservation needed for the survival of this monument. Unfortunately, ISIS members have destroyed and looted numerous heritage sites after they invaded much of northern Iraq in 2014, but luckily this specific tomb was not located in one of the areas they conquered. Many archaeologists have also told Live Science how during the reign of Saddam Hussein, they had little to zero access in northern Iraq - and for that reason many archaeological sites are now in a bad state and desperately need conservation work.